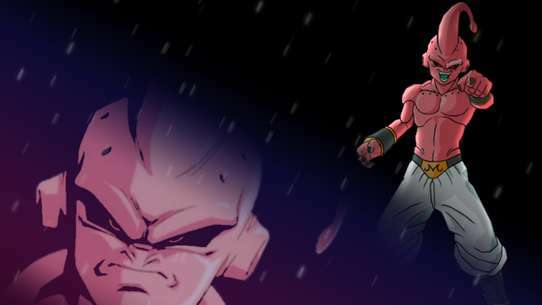 Ryosuke Takahashi the founder and leader of the RedSuns is about to do what he never had to do before. 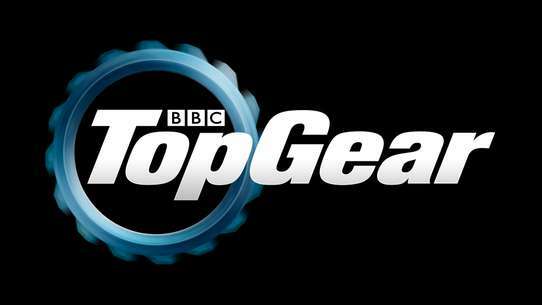 He will drive with everything he has against the Eighty - Six showing that there is a huge gap between talent and skill. 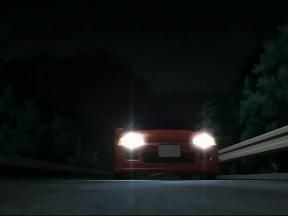 Will Takumi be able to defend against the analytical brother with more experiance in driving than most Pros. 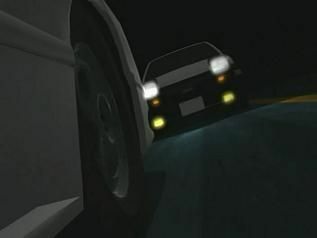 The race continues and concludes between the undefeated Ryosuke and Takumi. With Ry leading the entire race, it will come down to whoever can come out of the last curve ahead. Despite the outcome, people all around Gunma know that this is a race not to miss. 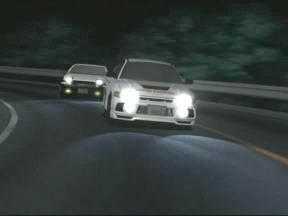 Fujiwara is about to experience a completely different type of racer within Wataru’s own Eight-Six, in a treacherous mountain pass consisted of mixed elevations, rusting guardrails, unexpected traps and aging rough pavements. 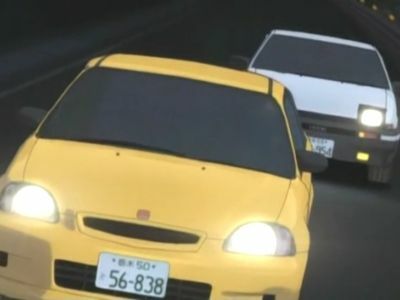 As Takumi presses down the accelerator, the true nature of the Eight-Six’s new hidden weapon emerges in it’s monstrous raw performance. Takumi has managed to arrange a double date for the day: he goes with Natsuki, while Itsuki goes with Natsuki’s friend, who turns out to be someone Itsuki really likes! 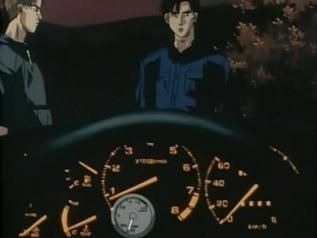 Iketani invites Takumi to drive his S-13, but this time he’s going to try to stay awake the whole time. 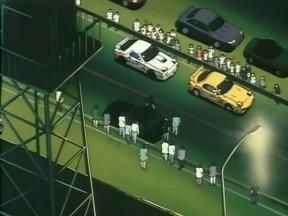 Then the Night Kids arrive with Shingo leading the pack. Iketani is fired up for revenge but they listen to Shingo’s demand; He wants to challenge the Eight-Six next Saturday night for a Duct Tape Death Match. Shingo provoked a challenge to a downhill race. 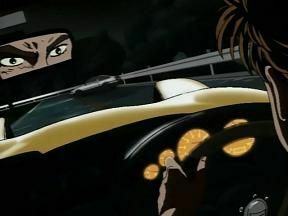 Unable to put up with threats to his friends Takumi accepts, but on finding out that it will be a gumtape death match where his driving hand will be taped on the steering wheel so he can not remove it his friends think that he might have bitten off to much than he can handle. Will Takumi be able to learn how to master the skill needed to race with this handicap or will it be the end of the mighty Eighty - Six. The race has begun on Mt. Usui. 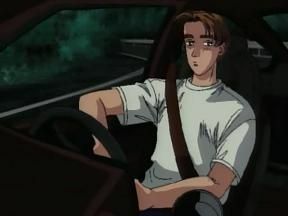 With Mako driving the mouse, the Impact Blue team hopes to see how Takumi and his Eight-Six handle the pressure, and then plan to leave him in the dust. Takumi struggles to keep up, wondering if he is in over his head. And then comes the big curve, C-121, which will prove if he has what it takes. 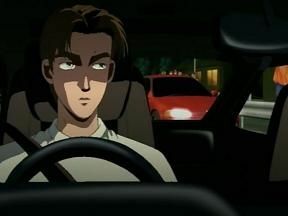 Iketani has been thinking of nothing much but racing and Mako. When he learns more about her, he gets more depressed since there would be no way she likes him the way he likes her. He ponders standing her up on an upcoming date, but changes his mind at the last minute. 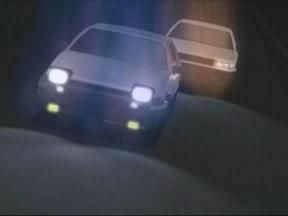 The loss to the Eighty -six of Akina has started a fierce battle. 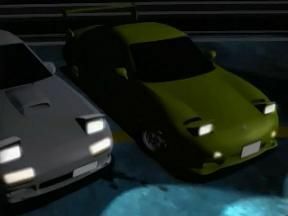 Takeshi Nakazato of the NightKids has challenged Keisuke Takahashi ofthe RedSuns to prove that they are the most skilled racers of Gunma. 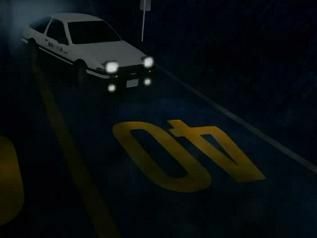 This episode focuses on the White Comet of the Akagi Red Suns, a title given to Ryousuke Takahashi because he moves like a comet when driving. 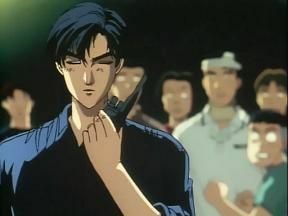 Ryousuke is determined to regain honor lost, and will not give up until he's defeated the best of Akina, which would be Takumi and his Eight-Six. He issues the challenge and the stage is set to make or break a legend. Takumi's team makes some tuning adjustments to the Eight-Six, but will it be enough to face Ryousuke? #10 - LanEvo Corps. Attack Akina! What would happen if the Eight-Six gets a new upgrade? 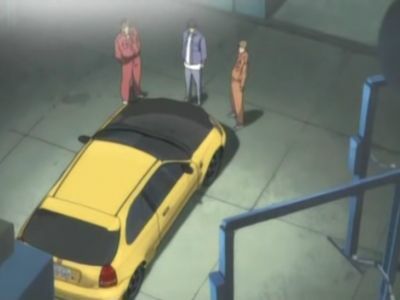 That’s exactly what Iketani and Itsuki has been thinking about to increase the performance of Takumi’s vehicle. But would Bunta allow it? Elsewhere, team Emperor’s winning streak isn’t slowing down as they continue to sweep across Gunma, defeating every race team with ease. 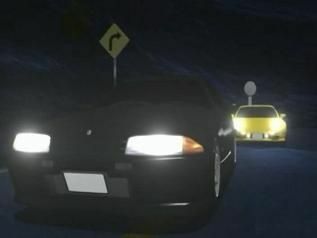 Their next target, Akina’s Eight-Six. 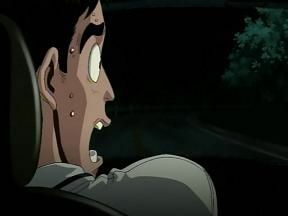 Kyoiichi senses an uncanny fighting spirit within the Eight-Six’s driver, as he gives Seiji strict rules against the race. 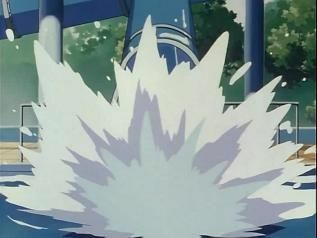 Seiji however decides to ignore these rules and launches his Evo IV into full power. Takumi is outclassed in almost every category as the Evo IV’s power is truly amazing. The battle risk escalates when the race reaches it’s second half point of the coarse. In his heart, Takumi couldn’t accept his victory over the Evo IV and decides to make a vow. To add to his already uneasy thoughts … anonymous messages are being sent to Takumi concerning his relationship with Natsuki. 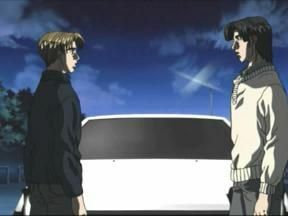 After Wataru issues a short-lived battle against Keisuke, his sister Kazumi introduces him to Itsuki leading to a chance meeting with another Eight-Six driver. 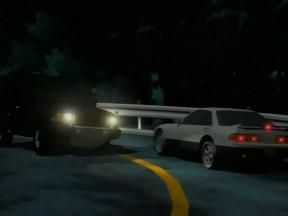 At first everything seems right with the meeting, but because of Takumi’s naïve reaction to his car’s new downhill weapon, Wataru rubs it the wrong way as his bad side emerges. 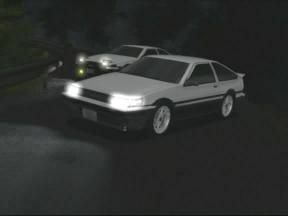 Act 3 starts off with Takumi driving on Akina after finishing his tofu deliveries upon returning home Takumi informs his father that he will be doing the deliveries for the next few days due to the fact that the team will be having another away match this week their next targets are a team called The Toudou Racing School A special school for driving techniques run by a car shop owner and ex-rally driver.The opponents are Daiki with his Honda Civic EK-9 on the downhill and Sakai with his Honda Integra DC2 Type R on the uphill.This whole episode is just everyone preparing for the up coming battles and ends with Ryosuke giving Takumi a little bit of advice for his race. 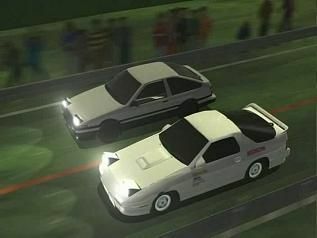 Act 4 is completely the race between Takumi and Daiki once again it is in the leader/chaser style with Daiki choosing to be out in front for the first heat.Has the race progresses we learn just what the two pieces of advice Ryosuke gave Takumi in Act 3 were. 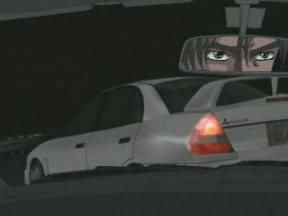 First ""don't look back"" - Secondly rev limiting he told Takumi to shift gears at 9000 RPM and not the normal 11,000. 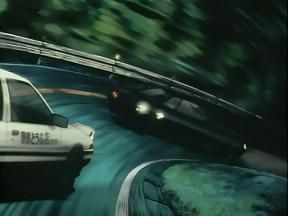 The downhill battle seemed to be a bit of a surprise to both racers on Daiki's part it was just how fast both the 86 and Takumi were and on Takumi's side it seemed to be just how much Daiki was able to push him to the edge of his ability's. Has for the race itself the first heat failed to resolve anything with Daiki failing to pass Takumi and in Takumi failing to put any distance between the two of them has for the second heat with Daiki in lead now Takumi was able to end the race when he passed Daiki while using the 86 to it's full potential. The battle between the two Eight-Sixes have met Wataru’s satisfaction much higher than he expected, but he plans to decide the outcome of this battle with the judgement of the human body’s limitations. Takumi soon realizes he is losing grip of his pace. 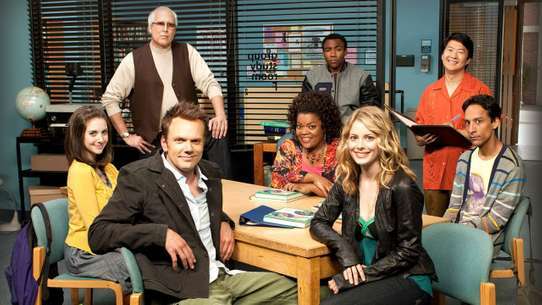 After the battle, a series of revelations take place among all the characters in preparation to what’s coming next. 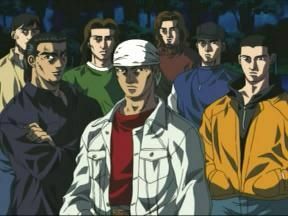 Shingo has challenged the Eight-Six driver to a Duct Tape Death Match and awaits his response. Takumi doesn’t seem interested, even when his friends explain the challenges to each other about the match. That seems to be the safe idea. Meanwhile, Itsuki calls up Saori for a date, and they go to Lake Akina. 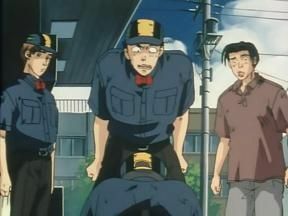 Shingo hasn’t heard back so he escalates the situation when he sees Itsuki’s Eight-Five driving down Mount Akina.